RT’s Ruptly crew captured a unique 360-degree footage of a Mosul hospital retaken from Islamic State. Though damaged in house-to-house fighting, the facility still seems relatively untouched in comparison with the lifeless burnt-out vicinity. The two-story medical facility, captured earlier by Iraqi Special Forces, has apparently been used by Islamic State (IS, formerly ISIS/ISIL) which controlled the entire area. Propaganda posters bearing jihadist messages are still visible on the walls inside empty rooms and corridors. Medical equipment and furniture are seemingly damaged, broken or unsuitable for use, and the second floor of the building bears signs of a fierce firefight, possibly involving heavy weaponry. The staff wants to make the hospital operational within a week, but the overall picture of the place suggests that restoring it will be no easy task. As the fighting progresses in the western part of Mosul, humanitarian organizations warn of heightened risks to civilians still living in what once was Iraq’s second-largest city. Inside Mosul, people face acute shortages of safe water, sanitation services, food and electricity, while access to healthcare remains virtually non-existent. Many hospitals have been badly damaged or even destroyed in fighting, mostly due to the fact that IS was regularly occupying medical facilities, “placing civilians and staff there at risk of incoming attacks,” said Lama Fakih, deputy Middle East director at Human Rights Watch. 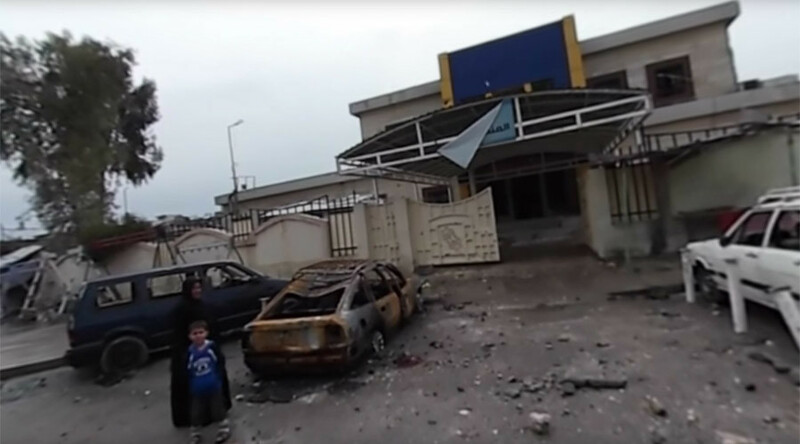 Some hospitals, however, were devastated in US-led coalition bombing, like the five-story Al Salem hospital building targeted by a December airstrike amid fighting in eastern Mosul. Additionally, Iraqi forces’ advance through western Mosul forced thousands of people to flee. 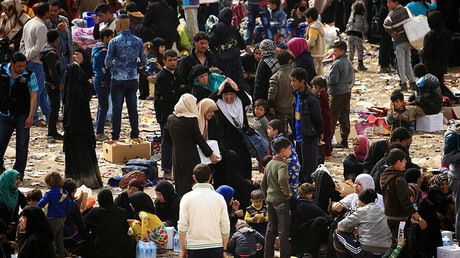 On Monday, a spokesman for the UN refugee agency told RT up to 300,000 civilians may escape from the western side of the city in a new wave of displacement, pushing to the limits aid organizations’ capacity to provide assistance to all displaced persons.